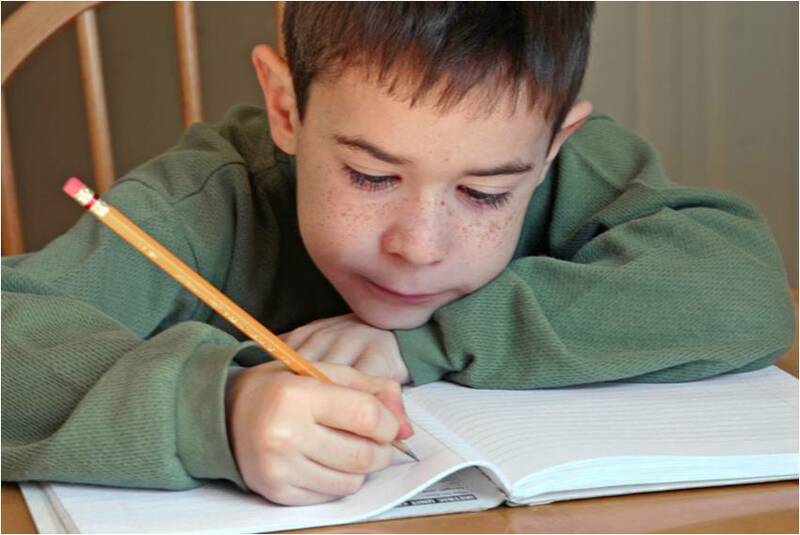 The word Dysgraphia, is composed of the two Greek root words Dys for difficult and graphia for writing. In short, it's difficulty writing, or even more simply, it's very messy writing, that is often illegible and incomprehensible. It is a specific learning disability, distinct from dyslexia and Attention Deficit Disorder (ADD) but often occurs together with them. 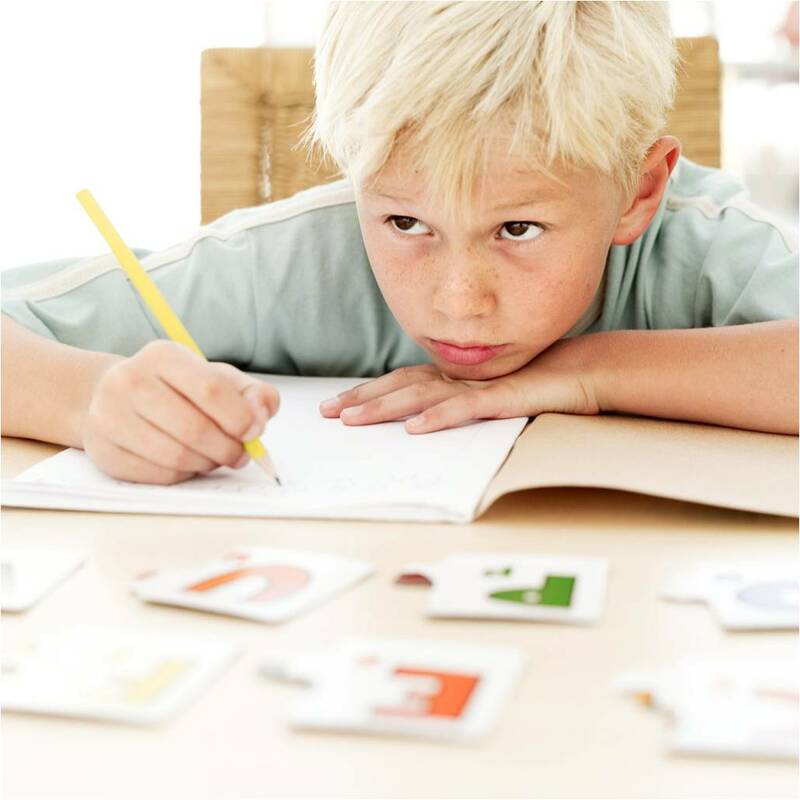 The causes are many and include a deficiency in fine motor skills, but in the case of dyslexic children, the problem results in part from the inability to remember sequences. 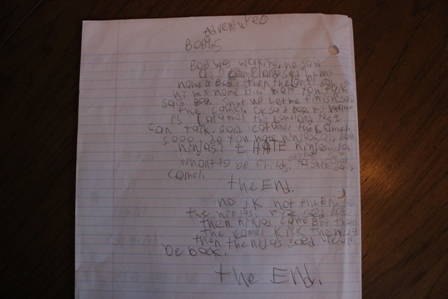 At first this sounds strange because writing a letter may not appear to be a sequence of activities, but it is. Forming a letter involves a sequence of pencil strokes including a starting point, intermediate steps and an ending point. For example when writing the capital letter E, you likely have a pattern you follow each time, but there are many sequences available for writing the letter—a line and three dashes, a backwards 3, or an L and two extra dashes. Most writers don't have to think about how to do it, they have a pattern, a sequence that they always do and have always done, but not a dyslexic with a dysgraphic writing deficit. They know the shape they want but can't remember the way to "A" and end up taking odd routes that result in odd letter shapes. Spend extra time practicing forming each letter using the same sequence of pencil strokes over and over. For tips on improving handwriting try this helpful occupational therapy site. Dysgraphia is not simply messy handwriting, but poor writing is usually the most obvious sign. Poor writing can also result from a lack of practice forming letters, poor pencil grip (from lack of practice with a pencil rather than poor fine motor skill) or vision problems. Be sure to rule these out first. With proper instruction and tools, writing can also be improved and with the use of assistive technology and keyboarding, the need for writing can be reduced or eliminated. In short, with proper accommodations and interventions dysgraphics can become successful writers.